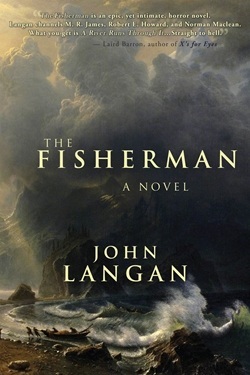 The Fisherman by John Langan is a quietly disturbing novel of loss, black sorcery, and regret. Unexpectedly, the story manages to be both intimate in its telling and sweeping in its possible implications. While not perfectly balanced between those points, The Fisherman is a well-written and emotionally engaging work. Told in three parts, The Fisherman begins by introducing the languid, convincingly-realized Abe. He is the novel’s widowed narrator, recollecting why he began fishing and what eventually made him stop. Abe’s tale ventures from his personal history into local history, then local folklore, and then deep into the occult and supernatural. But Abe and his experiences are made to serve double-duty. While he is presented as the primary, first-person focus of The Fisherman, Abe’s life shortly becomes the frame for another tale that is a thinly disguised, massive exposition dump. However, that content does allow Abe’s narrative to be something more than an intriguing novella. After Abe sets the scene, the second, longer part of the novel is a several-times secondhand recounting of events that occur well before the frame story. While this second part is nearly stand-alone and full of rich images, it eats up the middle 150 pages of the 266 page novel without hitting the same emotional tone as the introduction. In particular, it lacks the distinctive voice Langan gives to Abe. In addition to creating a great character, Langan also imbues The Fisherman with a great sense of place—the Catskill Mountains of upstate New York are a vital presence in the novel. He teases out the atmosphere of the forests, rivers, and streams, captures the fragrance of the woods and the qualities of light. He also very gently lets grief seep in before his characters declare it out loud. The foreshadowing in The Fisherman is frequent and subtle. Langan keeps good control over its pace, even when he seems to be pointing right to it: “The canvas was such a mess of shades and shadows that I half-suspected it was some kind of giant Rorschach Test… there was something about it, this quality, that I don’t know if I have the words for. The picture fascinated me; I guess because it was so close to showing you what it was, so close to revealing its meaning” (41). 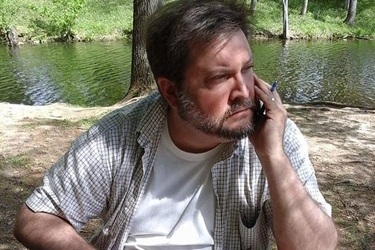 While it is evocative, it doesn’t fully connect with his other uses of watery imagery, particularly the pivotal Dutchman’s Creek and the often-referenced black ocean. Speaking of liquid images, I wish the strange other world Langan attaches to our own had been more thoroughly dived into. 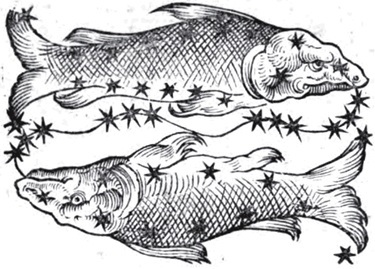 He presents us with such grand visions as: “For a moment, Jacob’s mind insists that what arcs out of the water is an island, because there is no living creature that big in all of creation. Then it moves…the whole of its dull surface traversed by the ripples of what Jacob understands are great muscles flexing and releasing, and there’s no doubt this is alive” (145). This and descriptions like it evoke the sheer scope of the thing and its environment in a way that recalls Dune and the sandworms. Yet it still feels somewhat incomplete to me, like a set-piece rather than a fully organic experience. I would have welcomed a much longer novel that delved further into that sorcerous world. The Fisherman has been described as Lovecraftian—but everything is Lovecraftian, of late. This flirts with it, although it is in many ways too concrete and contained in its cosmic horror. But comparisons are only guideposts, and John Langan has a distinct style that stands on its own. I truly enjoyed The Fisherman. It has at its root a thoughtful literary sensibility wrapped around a solid supernatural horror story. That’s a hard combination to beat. 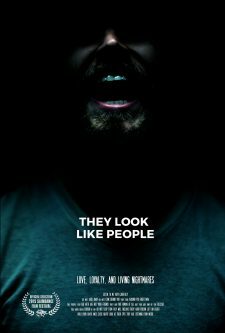 They Look Like People, a dark little film, was introduced at the Slamdance film festival way back in January 2015 and picked up by streaming services earlier this year. It’s been billed as low-key psychological suspense, and it can be. It is just as much a slow moving relationship study that could have been more thoroughly fleshed out in its 80 minute running time. Still, the story is complete, the characters interesting, and the film itself quite beautiful. They Look Like People is director Perry Blackshear’s labor of love—he wrote, produced, directed, shot, and edited it, all with good results. The only thing Blackshear didn’t do was act in it. But he picked a very involved small cast for his essentially three-character screenplay. The possibly schizophrenic Wyatt is played by Mac Leod Andrews (who also produced the film), his damaged friend Christian is played by Evan Dumouchel (another producer), and Christian’s competent, silly love interest, Mara, is played by Margaret Ying Drake. All three are intense and believable. They Look Like People begins charmingly enough with childhood best friends Wyatt and Christian suddenly reconnecting after an untold number of years apart. In addition to many other alluded-to life changes, both are reeling from failed relationships. Christian is trying to take control of his life again. Wyatt is losing his already tenuous grip on reality. There are many well-done small touches. Blackshear makes excellent use of sound— the film is filled with the background patter of clocks ticking, insects buzzing, phones clicking, rail cars chattering. Coupled with the mechanical noises, the ambient sounds of human movement and activity give They Look Like People a surprisingly distant feel. The use of light and color is also effective in creating a sense of distance. Greys and blues are the dominant palette. Blackshear creates a washed out look using rainy daylight, early morning winter sun, and bare basement fluorescents that evokes a feeling of alienation. Developing from that, the special effects are minimalist and hallucinatory, sliding in rather than jumping out. They build an atmosphere that is creepy instead of truly scary. Other effects and techniques are less restrained. There are some distorted voice-over phone calls warning Wyatt of dire things like, “If you ever hear three claps of thunder in a clear sky, the war has begun.” There are other voice-overs intoning pseudo-profound affirmations for Christian. A significant amount of the movie takes place in a cluttered, cave-like basement, which generates its own sense of foreboding. Unfortunately, when rising action finally happens down there it recalls every shoestring horror movie since The Blair Witch Project. But this is Blackshear’s directorial debut, and the weaknesses in They Look Like People reflect only inexperience. For example, it needed a stronger editing hand. Too much of They Look Like People’s limited running time is spent on indulgent extended scenes that don’t add any depth to the story. And there is a lot of blank space—the screen goes black for long seconds between scenes like a curtain coming down. The episodic presentation feels unnecessary, given how short the film is. What this slow pacing does is thin out an otherwise well-constructed story. There are deeper issues raised and then ignored, and hints of tragedy dropped in and then abandoned—all clues to how Christian and Wyatt got to this place. There was room to give them real context. The unexplored parts are more intensely missed for it. The bottom line is that They Look Like People works. The wounded characters and the sensory details pulled me in despite the glacial pacing. They Look Like People isn’t a horror movie, not even a psychological one. It is unsettling, ambiguous, and sad, a disturbing and at times uncomfortable dip into an altered reality. But I did not find it frightening. I found it fascinating in a raw-edged kind of way. Small, slow, and subdued, it has the ability to make me want more.